The LGBT Community and Hawaii – A Match Made in Paradise? Hawaii wants more visitors — and the state’s top tourism agency thinks it knows where to find them! The Hawaii Tourism Authority has just hired a marketing company (CMI out of San Francisco, founded by Thomas Roth) to conduct the agency’s first market intelligence survey of Hawaii’s LGBT visitors, according to the Honolulu Star Advertiser. And, the agency hopes the results will mean a better relationship between the LGBT community and Hawaii. “All destinations in the U.S. and increasingly around the world are competing and Hawaii hasn’t been there yet,” Roth told the newspaper. “It’s not about saying Hawaii wants to raise the flag and say I’m LGBT friendly now. It’s really a business decision,” said Roth. According to the paper, research shows that good marketing is the key to attracting the core LGBT market. Also, the results of an August online survey of 1,121 LGBT travelers who were most likely to visit Hawaii based on age, income and long-haul travel patterns, showed the LGBT community is open to considering Hawaii as a travel destination. Kelly Sanders, area managing director for Sheraton Hotels and Resorts, agreed that the LGBT market holds great potential for Hawaii. “It’s exciting that HTA actually commissioned a study to better understand where to spend tourism marketing dollars,” Sanders told the Honolulu Star Advertiser. “People don’t always understand the value in the way that they understand the value of marketing to China and Japan. I think we should be embracing any opportunity we can to drive more travelers to come to Hawaii. The West Coast is Hawaii’s top feeder market for LGBT travelers, according to Roth. However, there’s also potential from other U.S. states with major LGBT populations, including Texas, Illinois, Georgia, Florida and New York. The profile sets Hawaii’s target age for LGBT visitors most likely to travel to Hawaii at ages 40 to 64. It also shows that lesbians are less likely to visit Hawaii than gay men, who are typically higher earning. Seventy-five percent of LGBT travelers who visited Hawaii in the past five years had partners, according to CMI data. 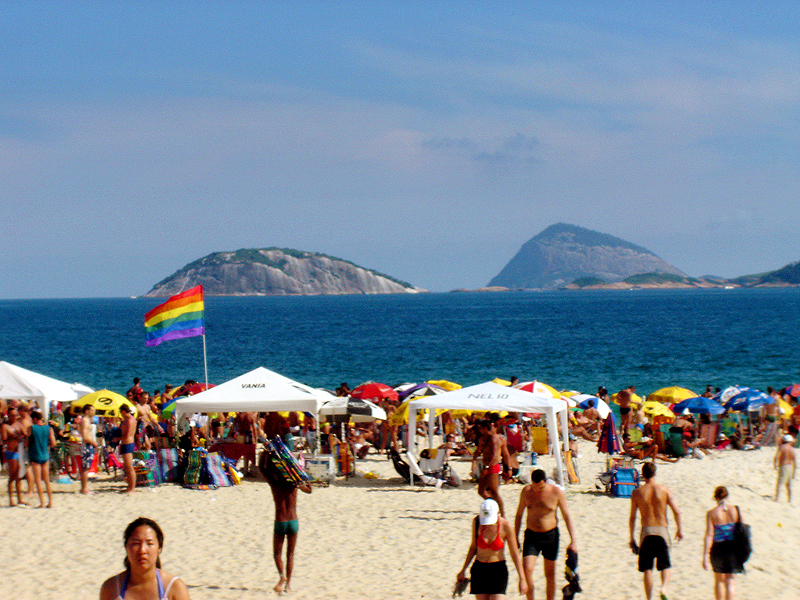 Major cities like Rio de Janeiro have been attracting LGBT travelers for years. Now, Hawaii wants to explore how to attract more visitors from the community to the islands. Their typical household income was over $100,000 and 6 percent of them had children under 18 living at home. Oahu garnered 49 percent of the LGBT visitor traffic followed by Maui at 42 percent, Hawaii island at 37 percent, Kauai at 26 percent, Lanai at 3 percent and Molokai at 2 percent. The typical trip was seven days. As many as 37 percent of LGBT travelers surveyed from California, Oregon and Washington said they had visited Hawaii in the past three years and another 49 percent said they hoped to visit in the next two years. The paper reports that LGBT travelers from the Pacific states were Hawaii’s biggest fans with 45 percent of them saying that they planned to visit the islands in the next two years as compared to 27 percent of the entire LGBT survey population and 19 percent of those who resided in Midwest and Eastern states. As much as 32 percent of the Gen X LGBT travelers surveyed said they were planning trips in the next two years versus 26 percent boomers, and 23 percent millennials. If successful, the new LGBT marketing campaign will have a “trickle-down” effect on tourism-related business. Tour companies, like Hawaii Aloha Travel, that provide discounted accommodations and Hawaii activities could also feel the positive impact from more LGBT visitors. For now, efforts to improve the relationship between the LGBT community and Hawaii is in its infancy — but, don’t be surprised if you notice more niche marketing to this particular community soon!